There is no doubt that The Learning Experience (TLE) Early Learning Academy provides excellent childcare and educational foundation for the young children enrolled. But, what may not be as well known is how TLE teaches through its all-inclusive theater enrichment program Talent Sprouts, which recently resulted in an off-Broadway star. It was a short time ago Brooke Lynn Murray, now 6, attended TLE in Ramsey, N.J., where her biggest focus was ensuring she mastered her ABCs and 1,2,3s. Brooke discovered her love for theater at a young age through TLEs Talent Sprouts, along with additional programs including Music 4 Me, and Movin N Groovin. Performing in her first play, Zoosical, at the young age of 4. Theater helped blossom young Brooke and other students through building confidence, public speaking skills, voice diction, eye contact, and stage presence. Brooke was learning so much through Talent Sprouts that without ever realizing it, TLE laid the base for Brookes newfound creativity and passion which has led her from preschool to an off-Broadway opportunity. 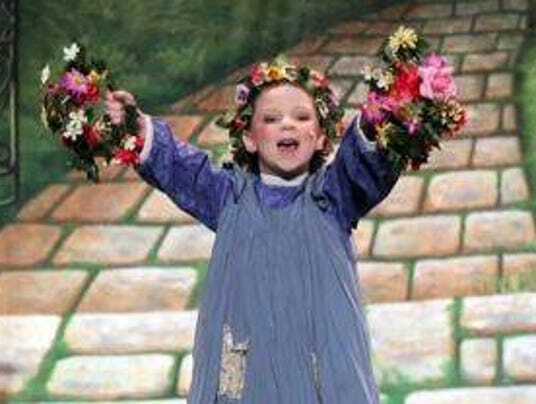 Recently, Brooke auditioned for the Westchester Broadway Theatre, New Yorks longest running year-round equity dinner theater, production of The Wizard of Oz, where she was casted as one of the youngest munchkins. Brooke is a prime example of how TLE teaches a love of learning through their enrichment programs, tapping into every childs inner star. The Wizard of Oz is running 7/31/14 9/21/14 at the Westchester Broadway Theatre, 1 Broadway Plaza, Elmsford, NY 10523.